In today’s new fast paced digital age, conventional media businesses are being challenged head-on by new technology and by the ever-changing consumption of media. Now people demand a quick, easy way to consume information. They dont want to navigate through blocks of text or have to sit and watch a long winded slideshow anymore – the marketing landscape has totally changed. We developed an interactive, multimedia website and Facebook page for UFC champion, Georges St-Pierre, who currently has over 4 million monetizable likes on Facebook alone! We developed a full content marketing monetization strategy for 3x Miss Bikini Olympia Ashley Kaltwasser in addition to an epic film project that will showcase a cutting edge model of distribution – stay tuned! 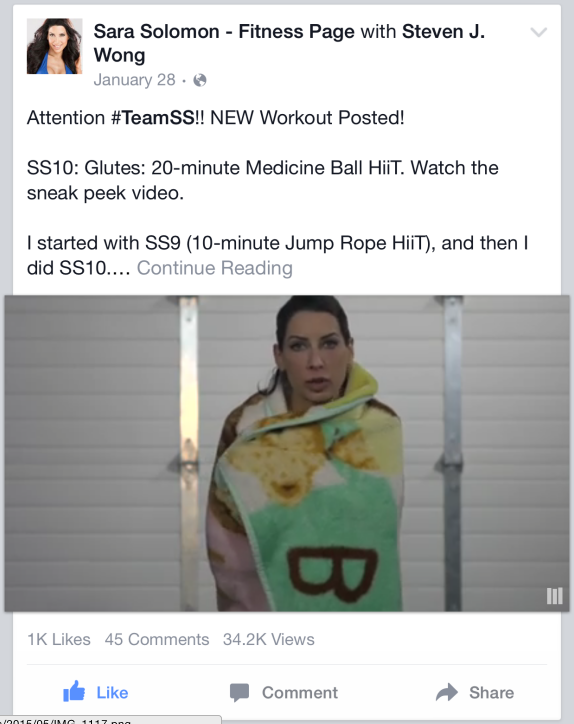 We produced highly engaging, audience specific video content for fitness celebrity, Dr. Sara Solomon, for the top of the sales funnel that provided high opt-in rates for e-mail capture. This strategy efficiently drove traffic down to the bottom of the funnel resulting in fantastic conversion rates. 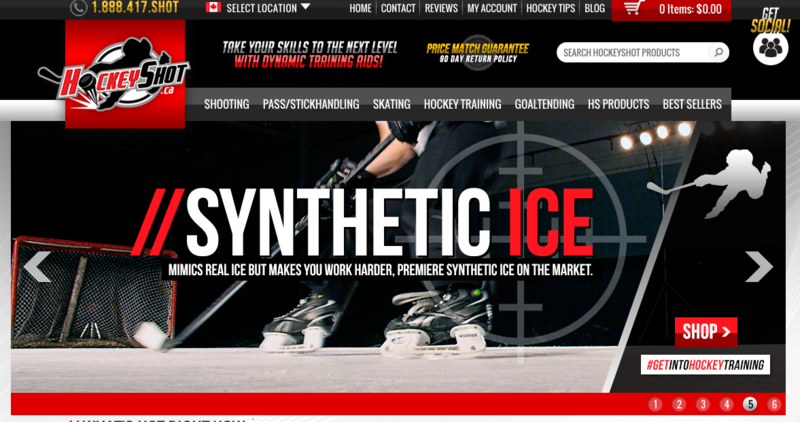 We produced highly engaging, audience specific video content for HockeyShot.com – one of the world’s most successful e-tailers! 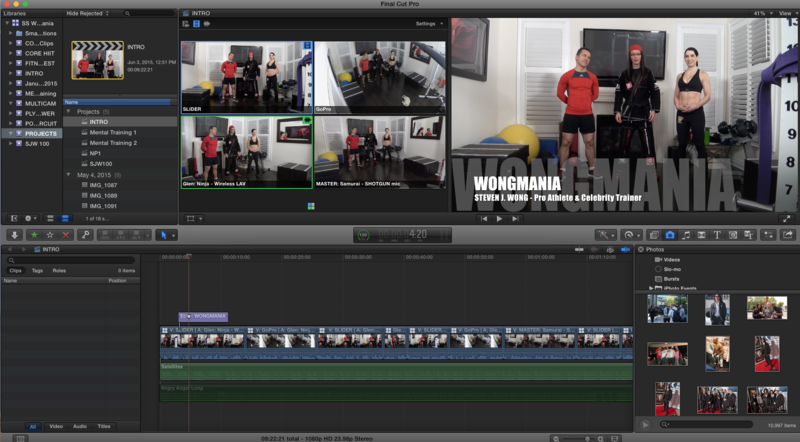 We produced a cutting edge content marketing campaign for a video trainer that incorporates elite athletes and celebrities (4x Olympian Elvis Stojko and Pro Athlete Trainer Steven J. Wong are shown in this photo). We developed a full e-comm and digital online monetization multimedia website for Bikini SuperModel Julia Gilas. This comprehensive project featured logo development and branding structure, sales funnel, strategic lead generation and digital video product design that created an infinite passive income stream. We developed a full e-comm and digital online monetization multimedia website for international Bikini Pro Champion Janet Layug . This comprehensive project featured logo development and branding structure, sales funnel, strategic lead generation, custom apparel line and digital video product design that created an infinite passive income stream. We developed a full e-comm and digital online monetization multimedia website for international Bikini Pro Champion Stephanie Mahoe . This comprehensive project featured logo development and branding structure, sales funnel, strategic lead generation and digital video product design that created an infinite passive income stream.